Freneau was a schoolmaster and divinity student before the American Revolution, during which he used his considerable poetic talent to compose acid satires mocking the British and Tories. He joined the New Jersey militia in 1778 and was captured by the redcoats in 1780. He recounted his POW experience in a bitter poem titled The British Prison-Ship (1781). 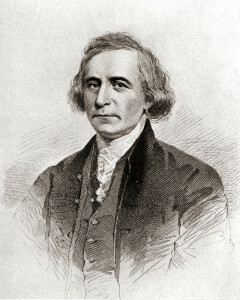 After the war, Freneau worked as a partisan journalist promoting the liberal orientation of such leaders as Thomas Jefferson against the more conservative Federalism exemplified in John Adams. As a poet, Freneau stood well above most of his American contemporaries.